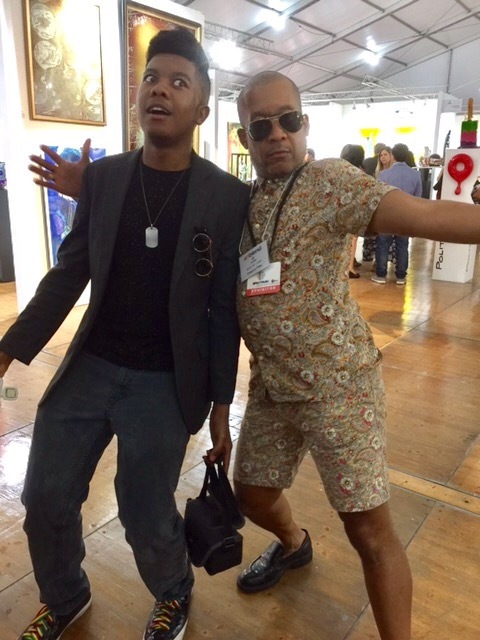 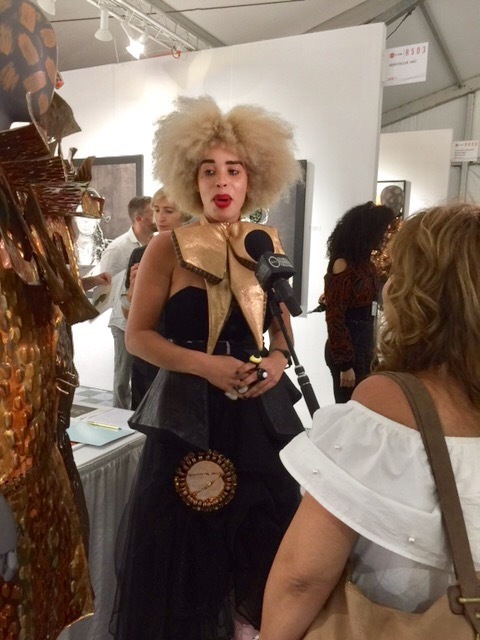 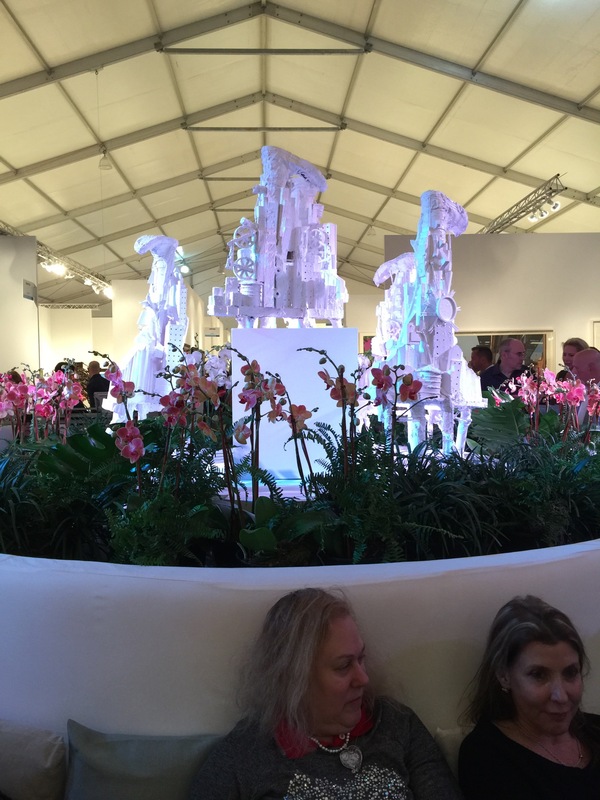 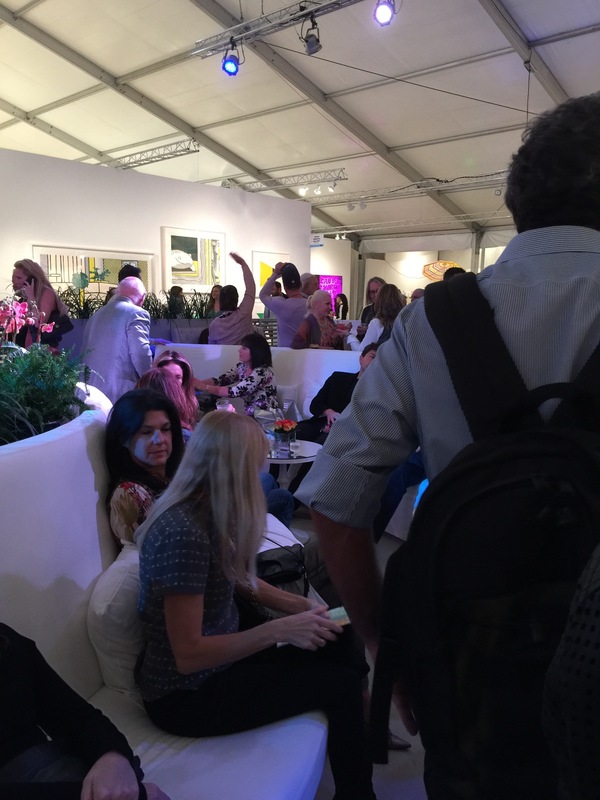 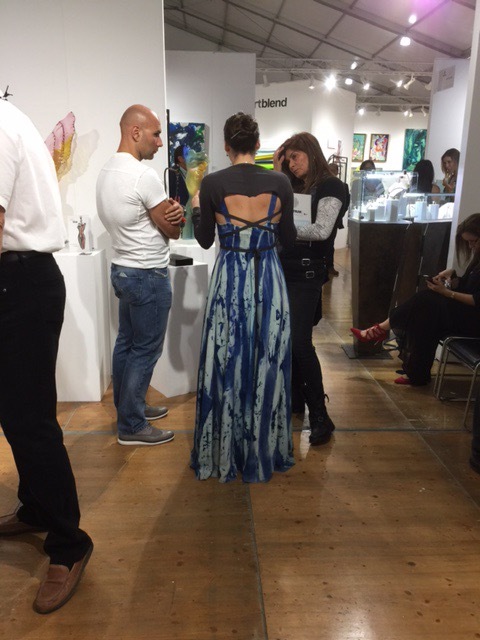 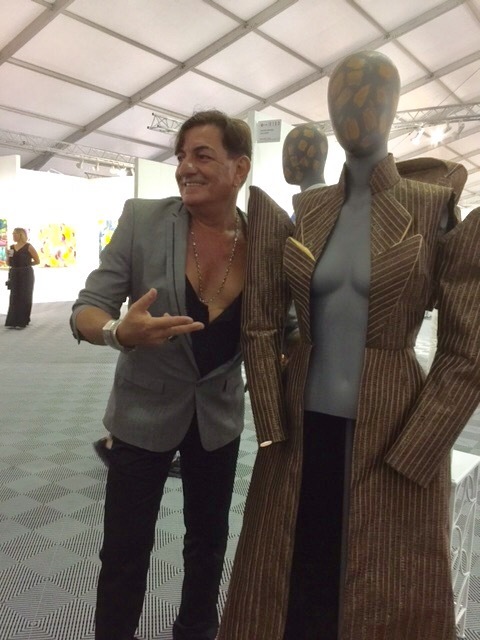 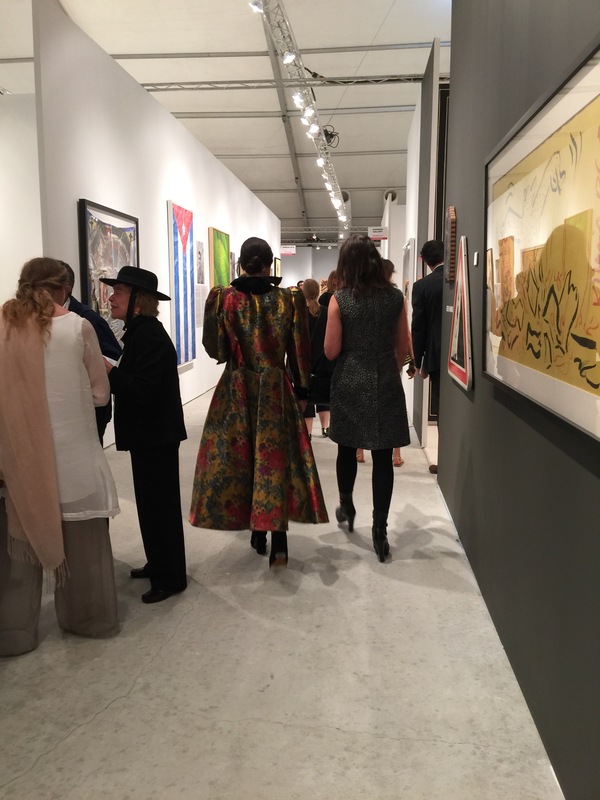 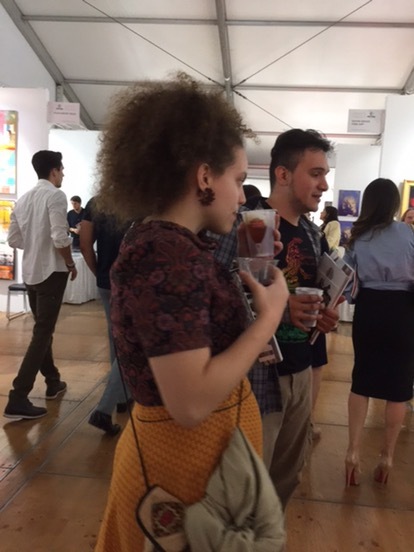 Art Basel of Miami, one of the largest art exhibitions in the world, brings out art lovers who enjoy dressing up to show off their creativity. 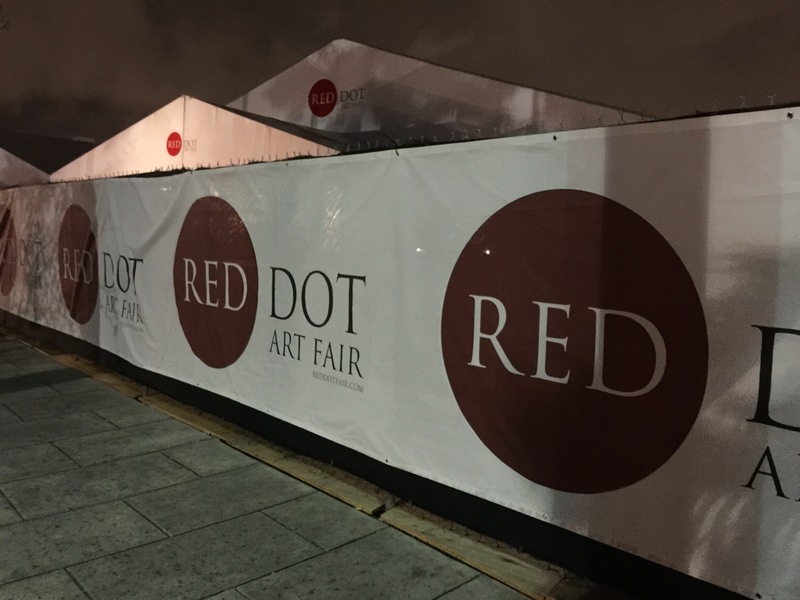 We visited two satellite exhibitions tonight, Red Dot and Spectrum, to check out the art and the fashion. 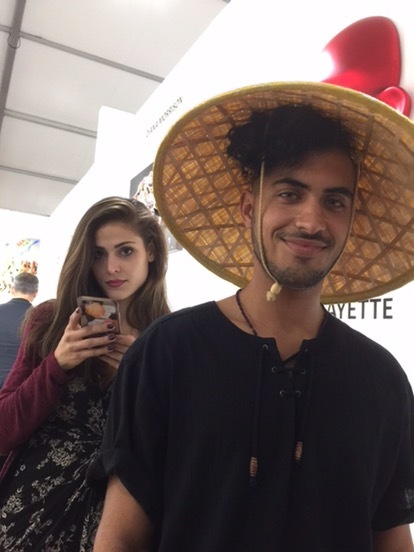 This is what we found. 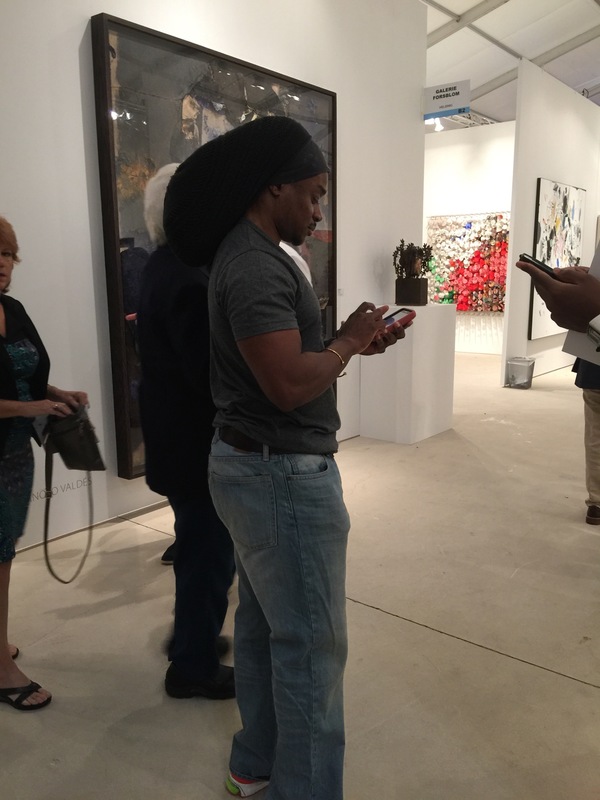 Everyone goes to Art Basel to see the art. 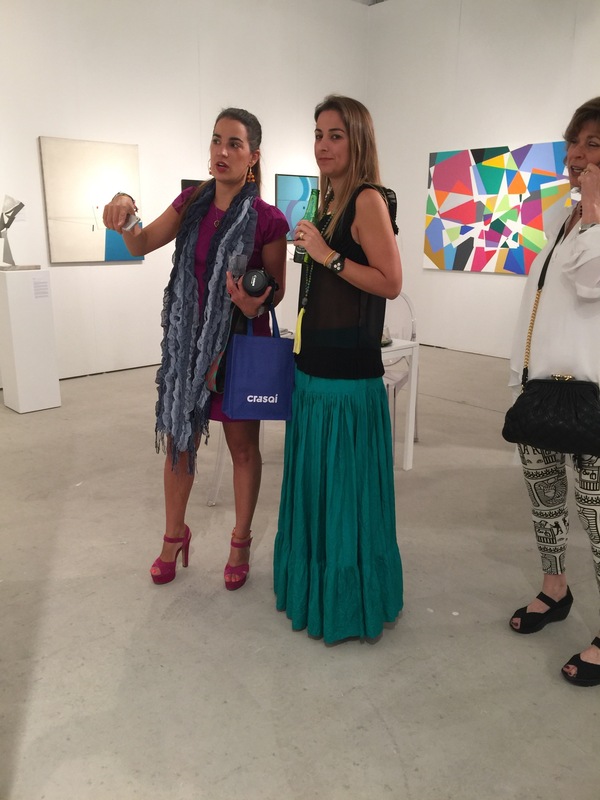 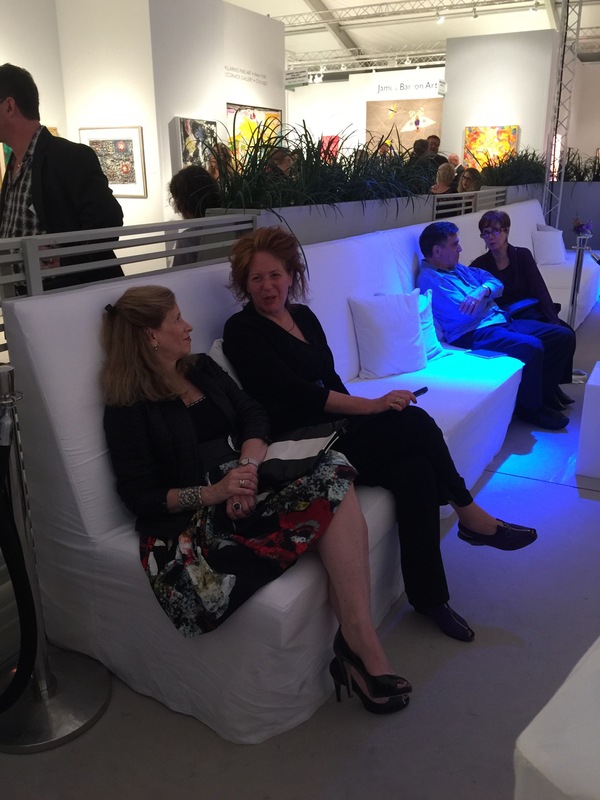 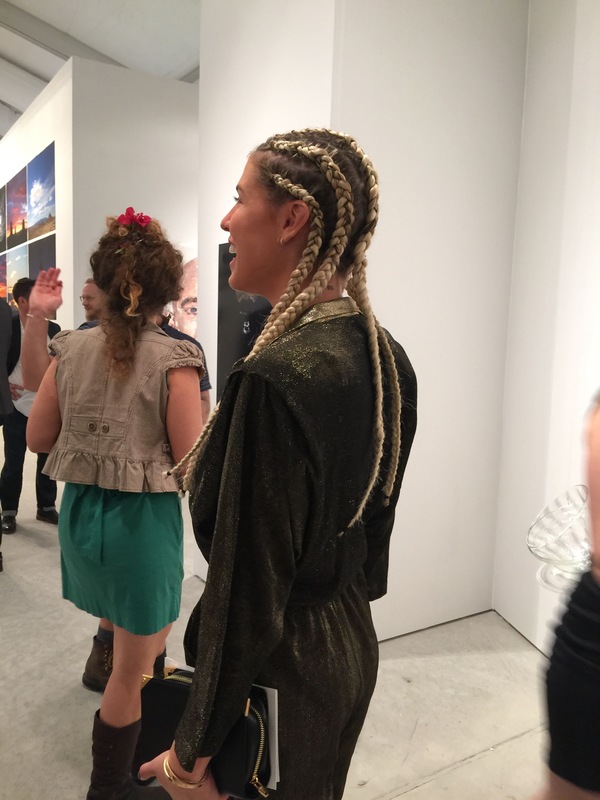 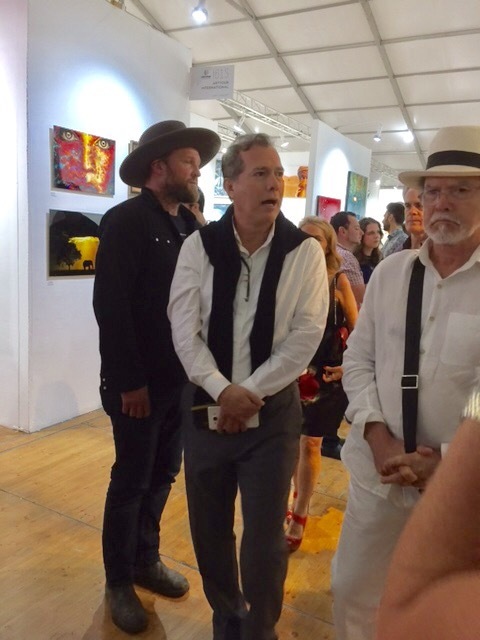 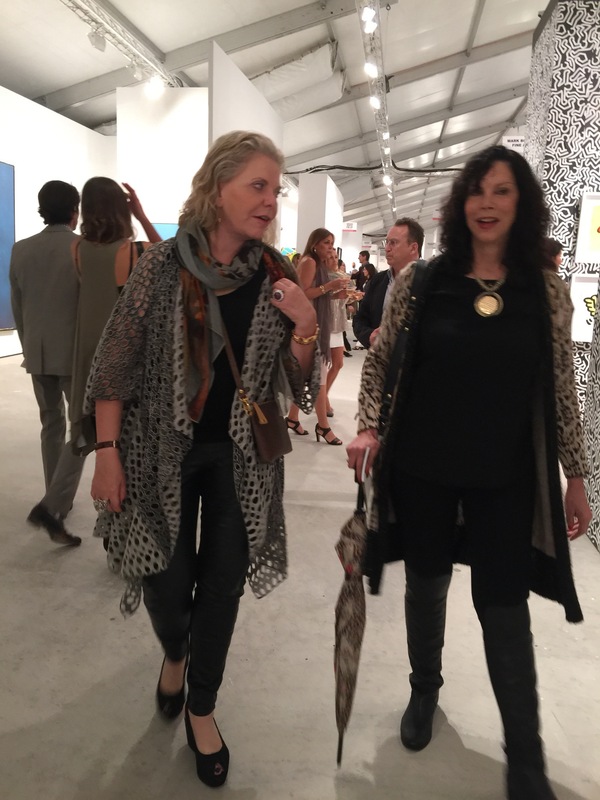 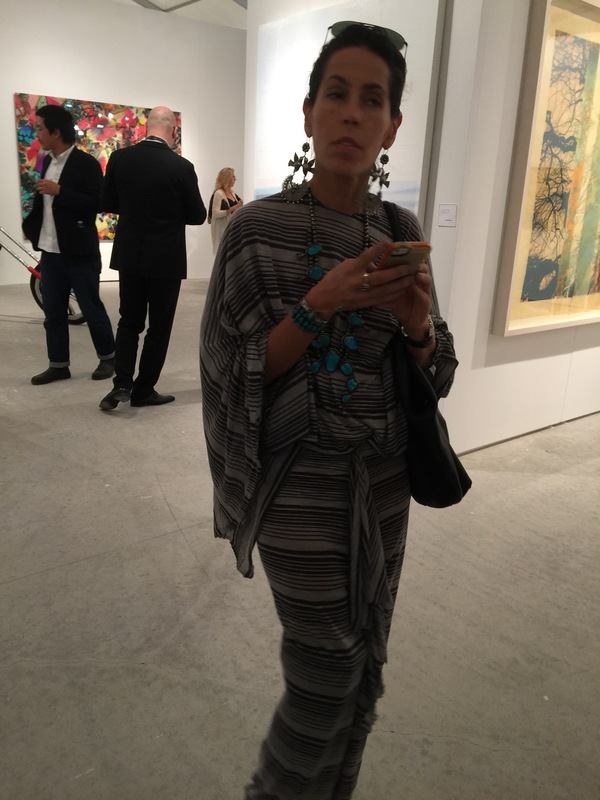 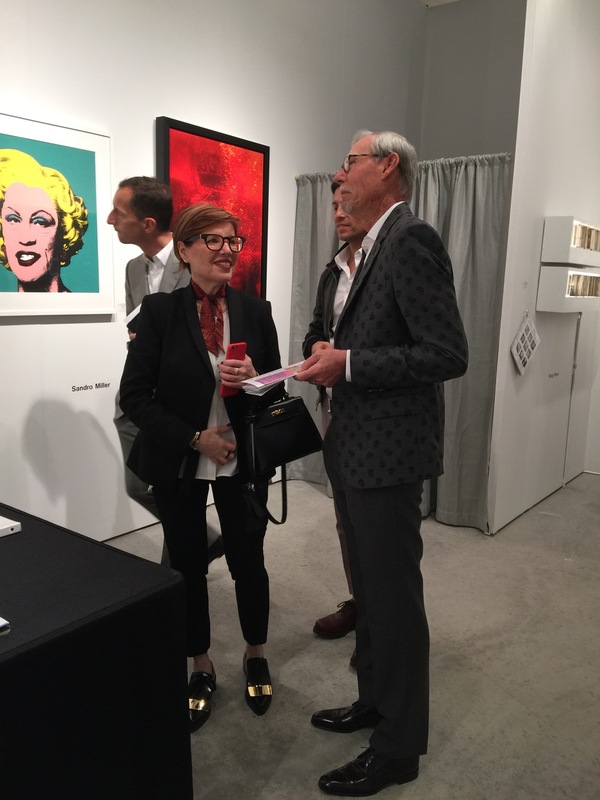 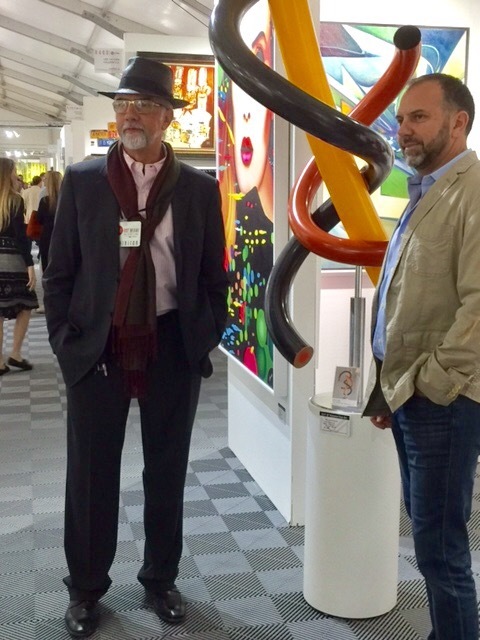 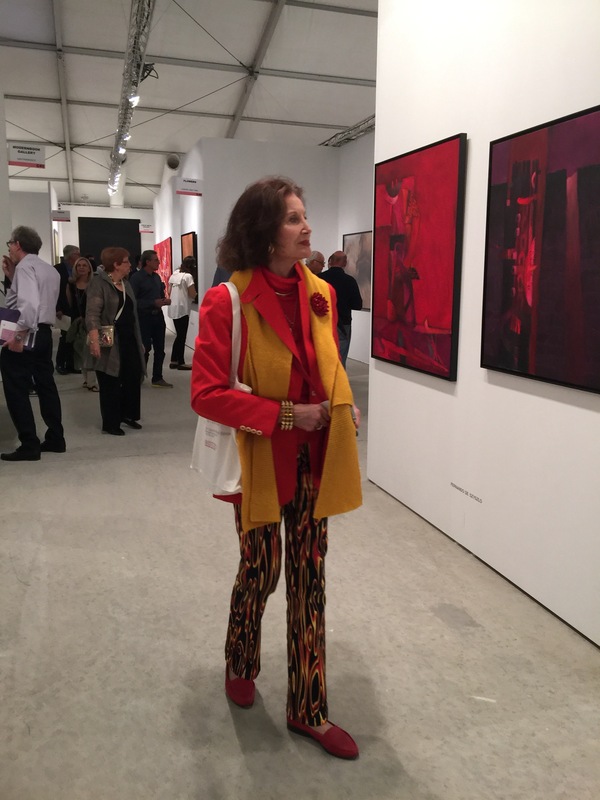 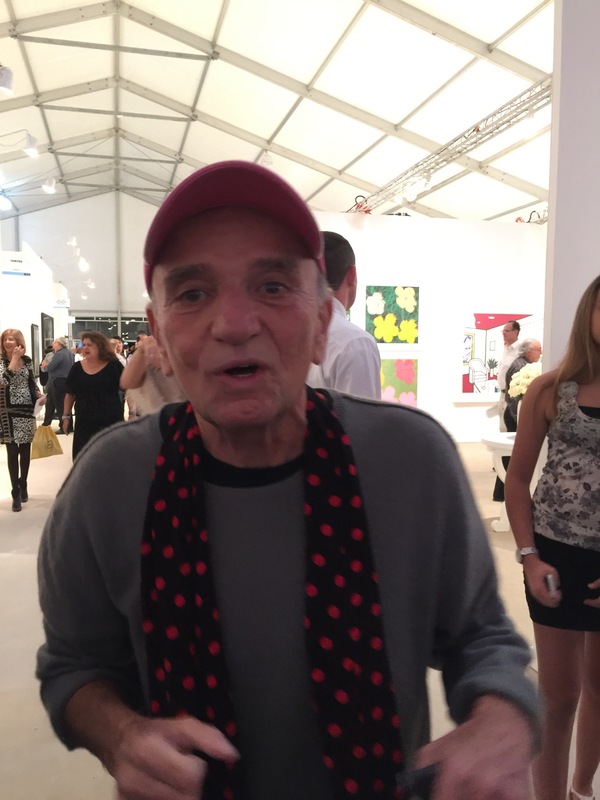 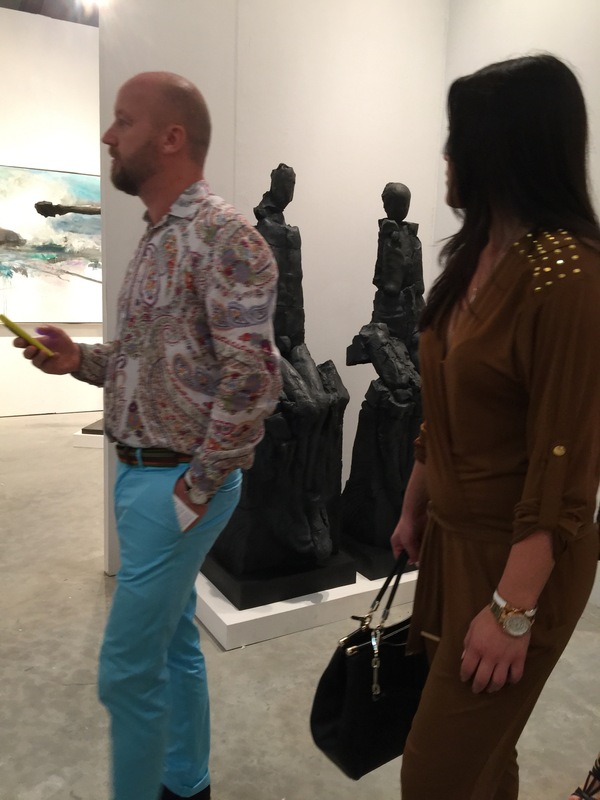 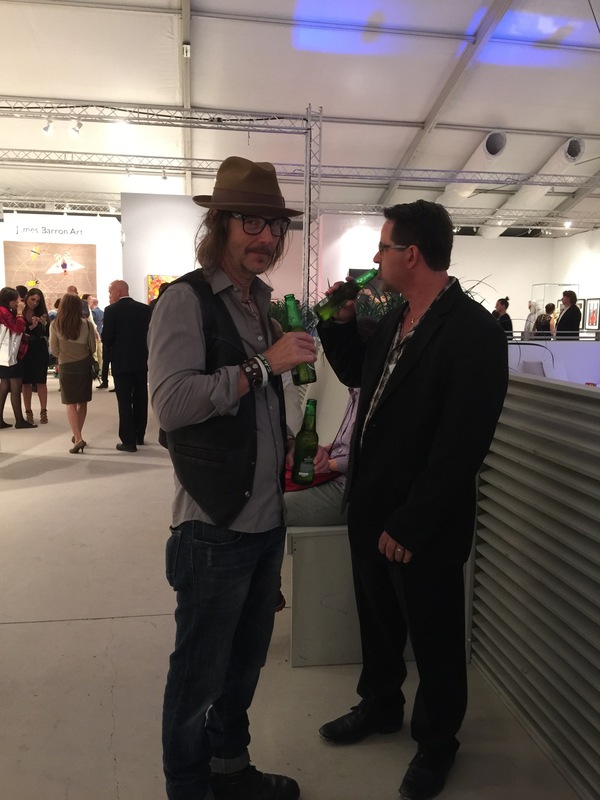 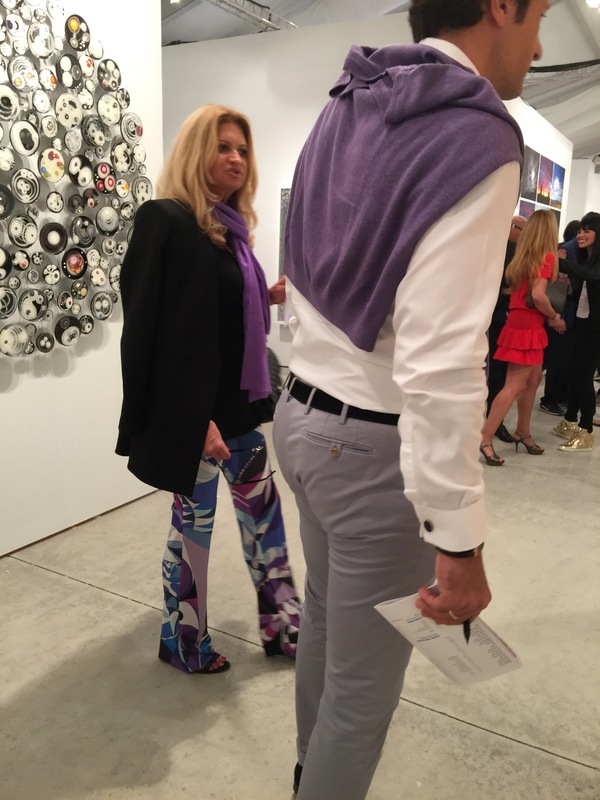 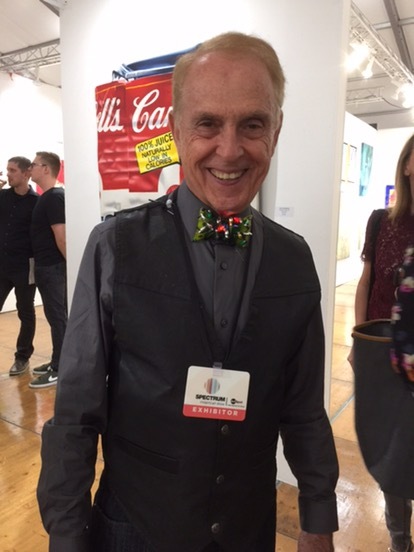 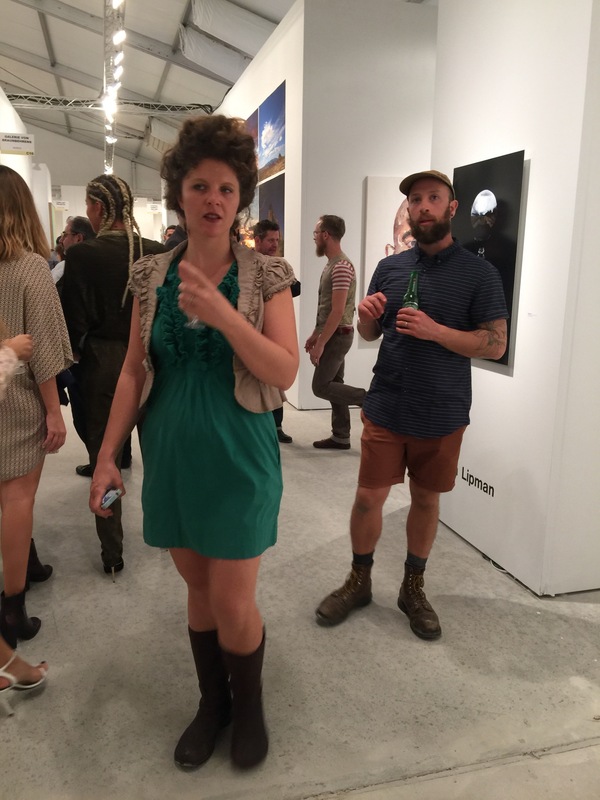 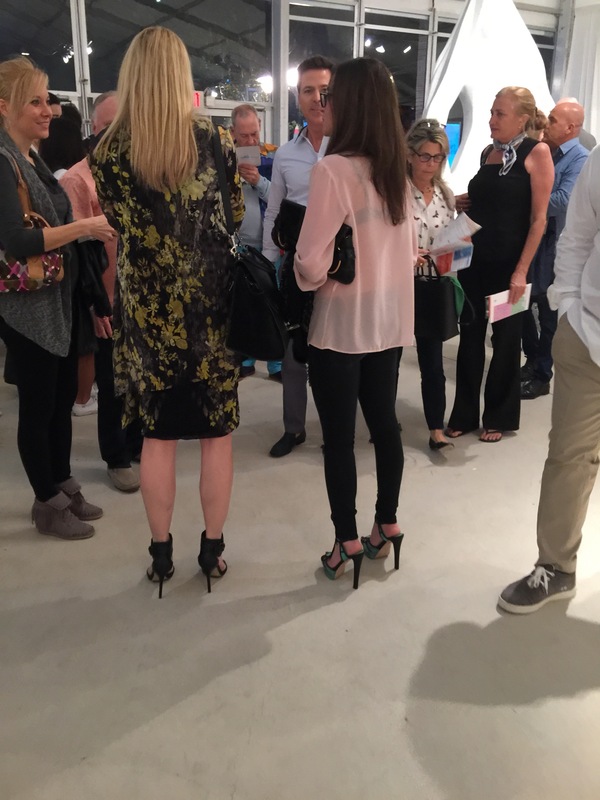 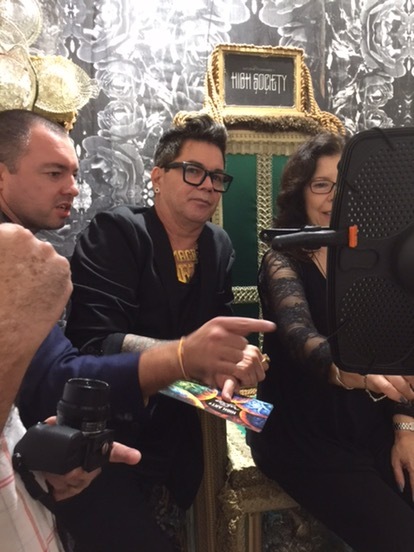 I go to Art Basel to look at the people. 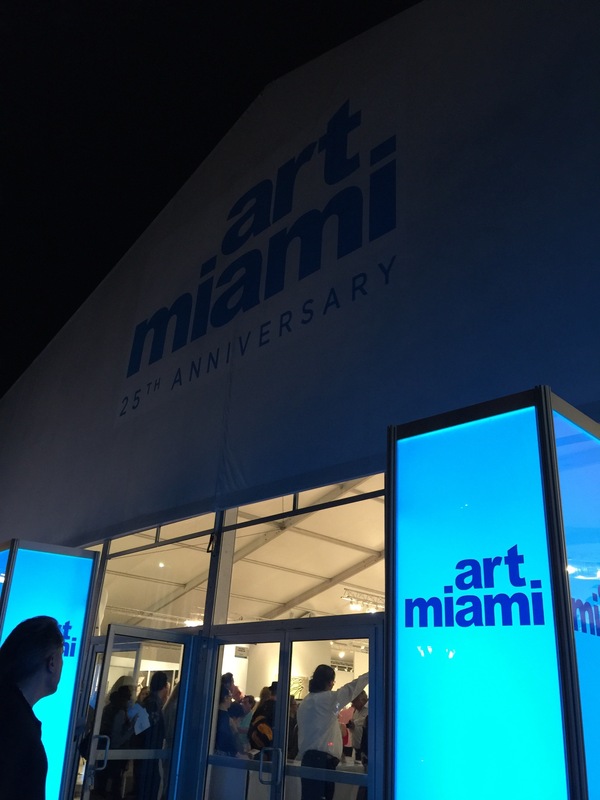 There is a reason why Art Basel is in Miami. 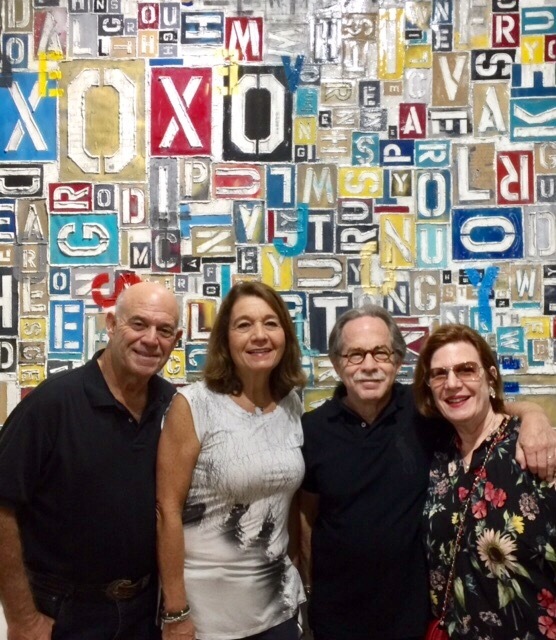 The people who live or visit Miami are very creative. 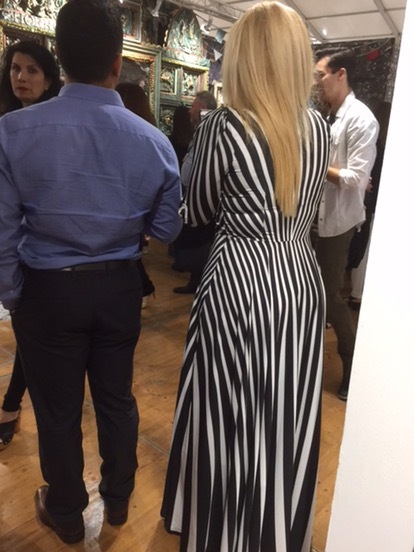 It’s always a show. 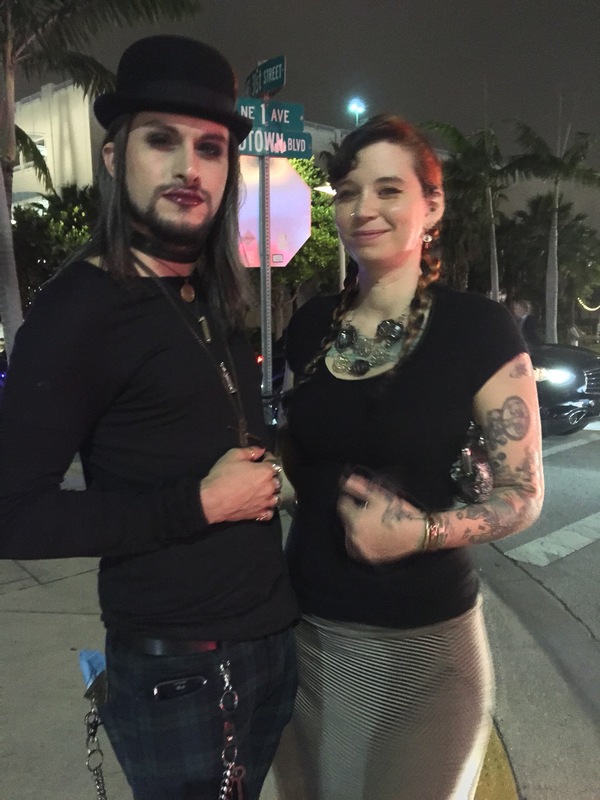 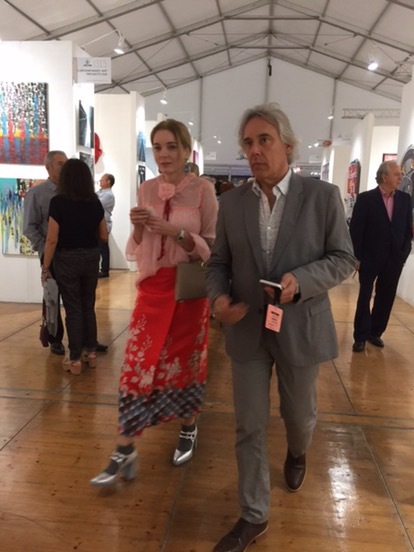 I found this couple outside the tents of Art Miami and Red Dot. 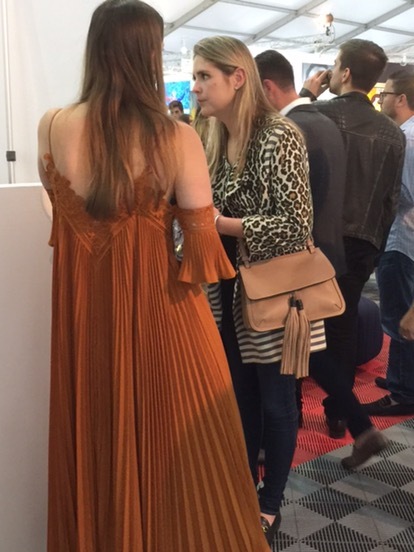 The two were total showstoppers. 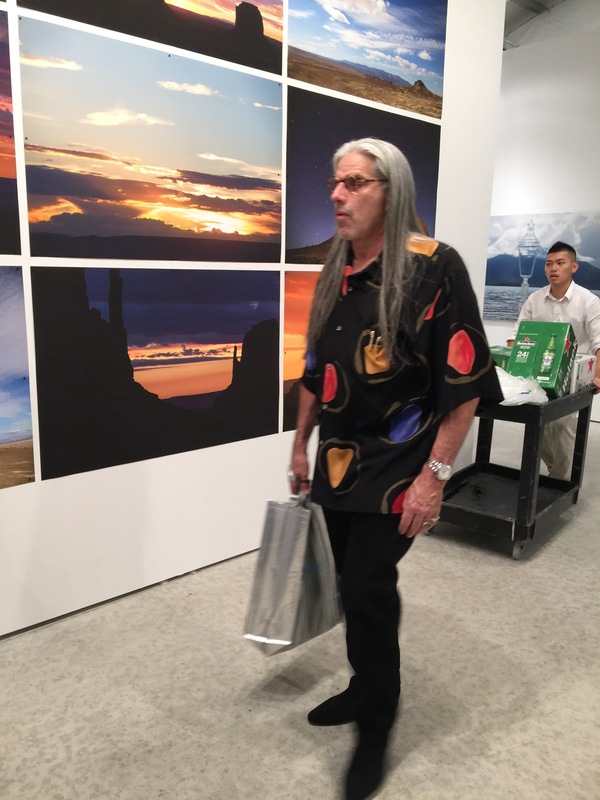 I took Jerry Powers by surprise. 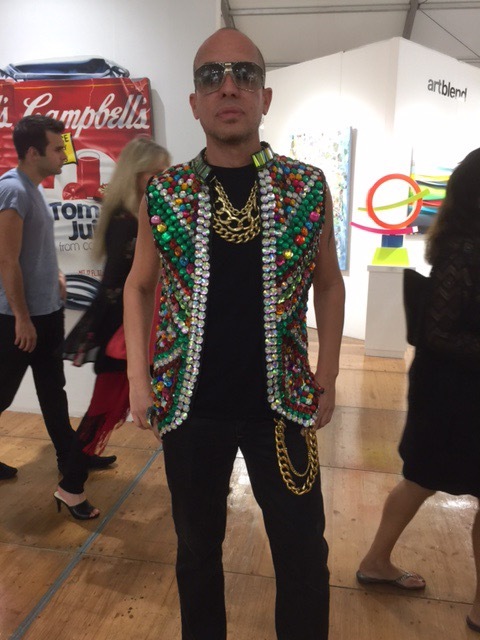 He is the founder of Ocean Drive magazine. 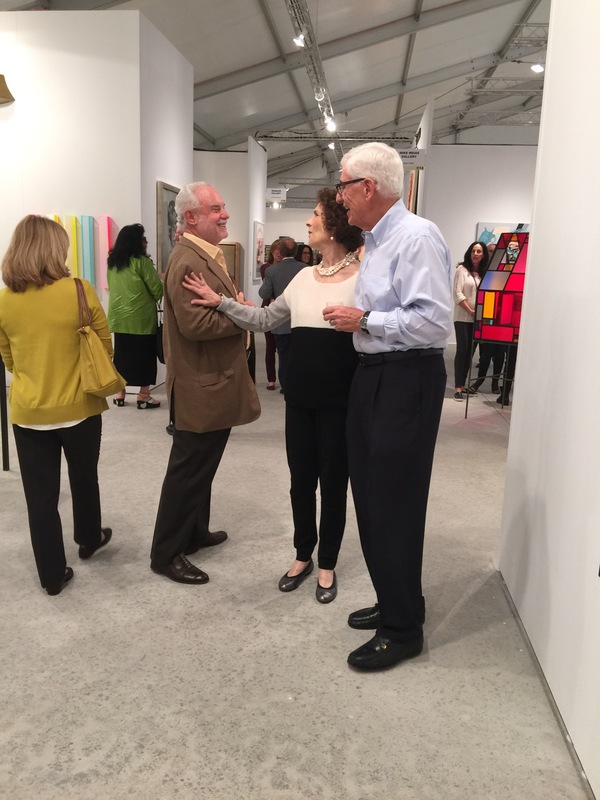 Debbie Lee Mostel is a prime example that age has nothing to do with the appreciation of technology. 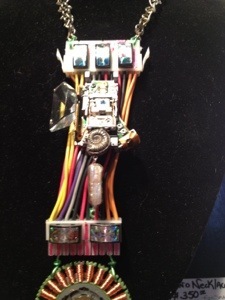 After years of successfully designing jewelry for Nordstrom, Saks Fifth Avenue, and Bloomingdale’s, Mostel became fascinated with the construction of technology: motherboards, heat coils, and laser pickups to name a few. 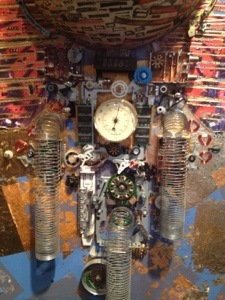 She decided to use the guts of outdated computers and other gadgets to form new creations that people could cherish and display. 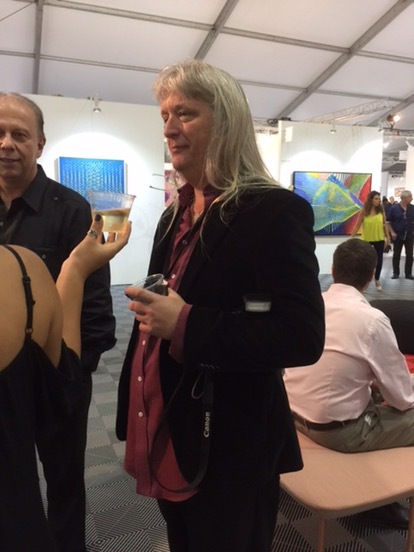 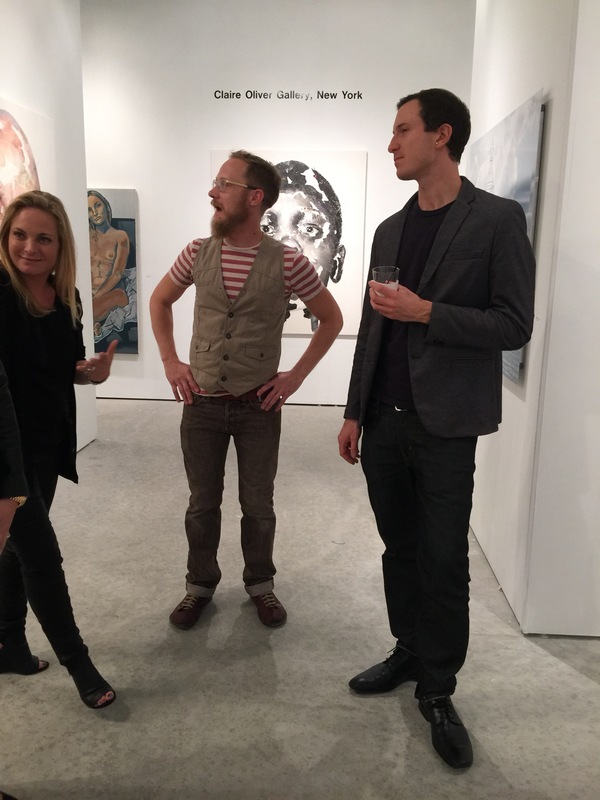 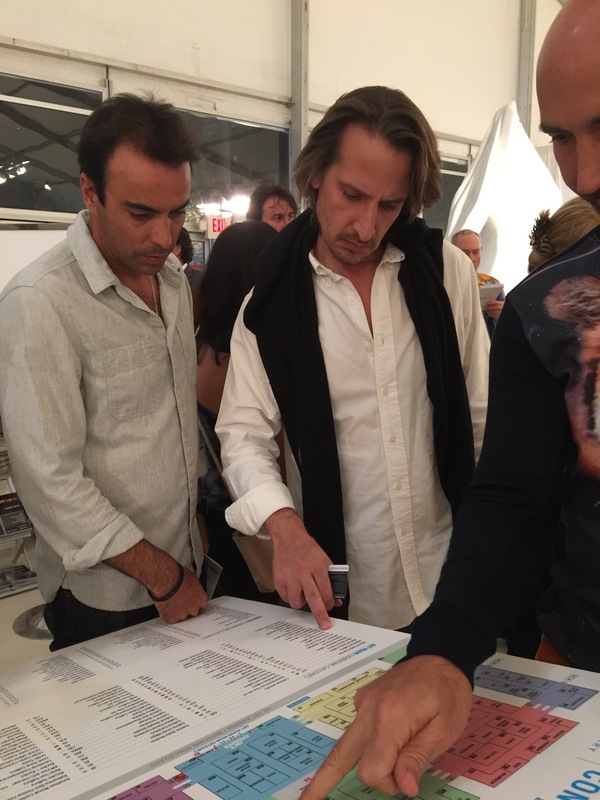 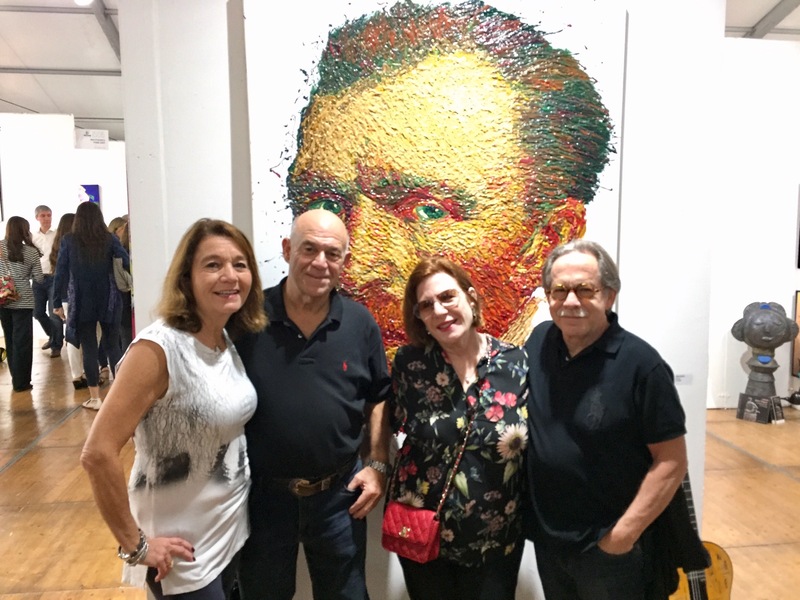 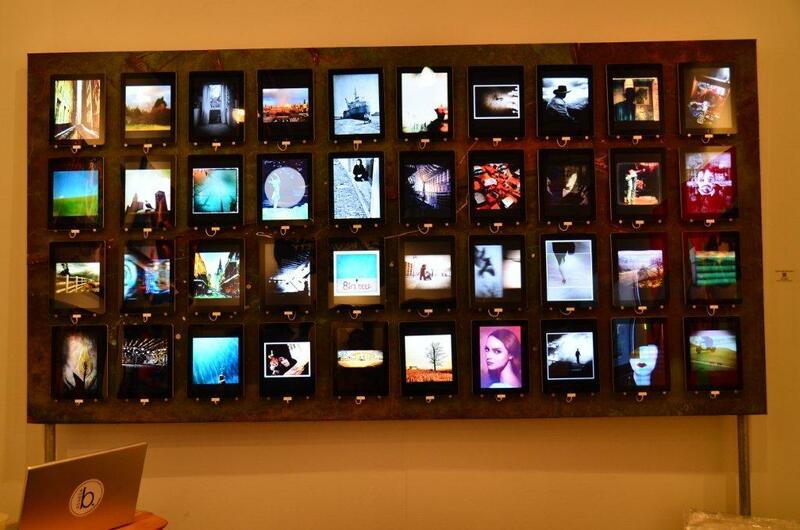 I came across Mostel this past weekend at Red Dot, a satellite art show just a few miles away from Art Basel in Miami. 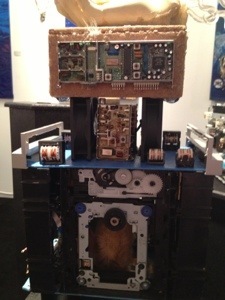 Of course, I was attracted to Mostel’s exhibit when I saw the technology angle. 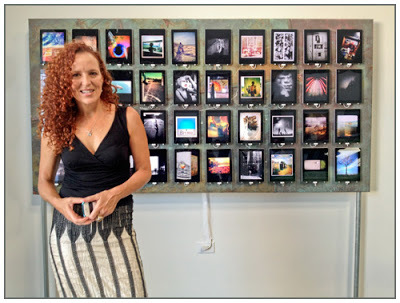 I loved that parts of technology inspired her to create new art forms. 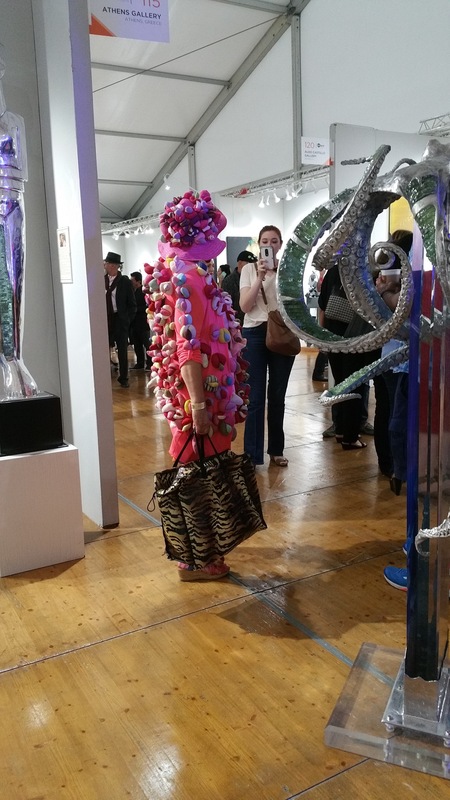 It is always refreshing to see a woman involved in fashion switch to electronics. 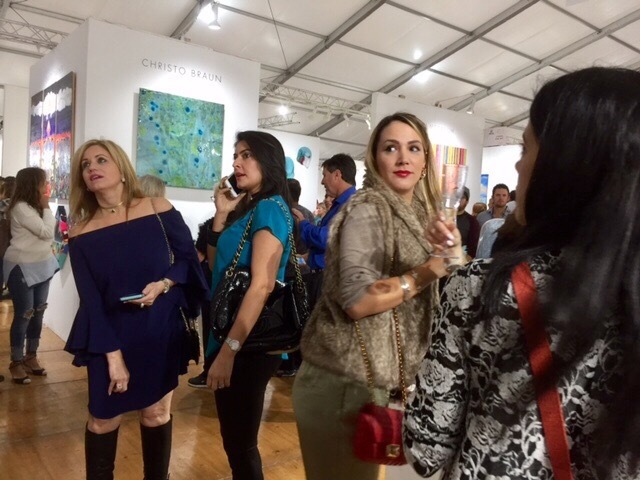 I think it shows that women on the art scene are capable of developing new values that haven’t been explored before. 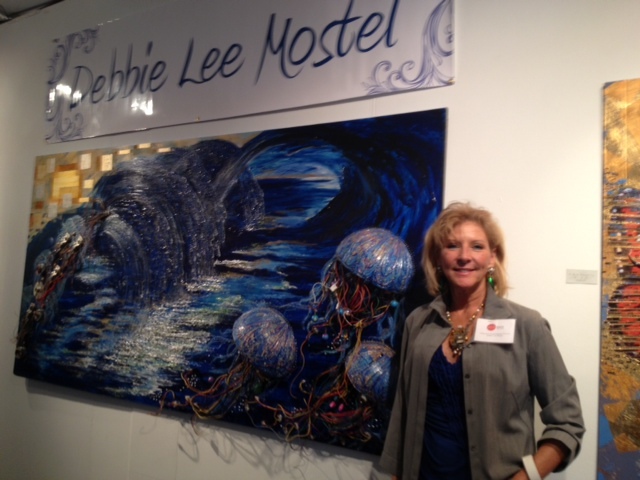 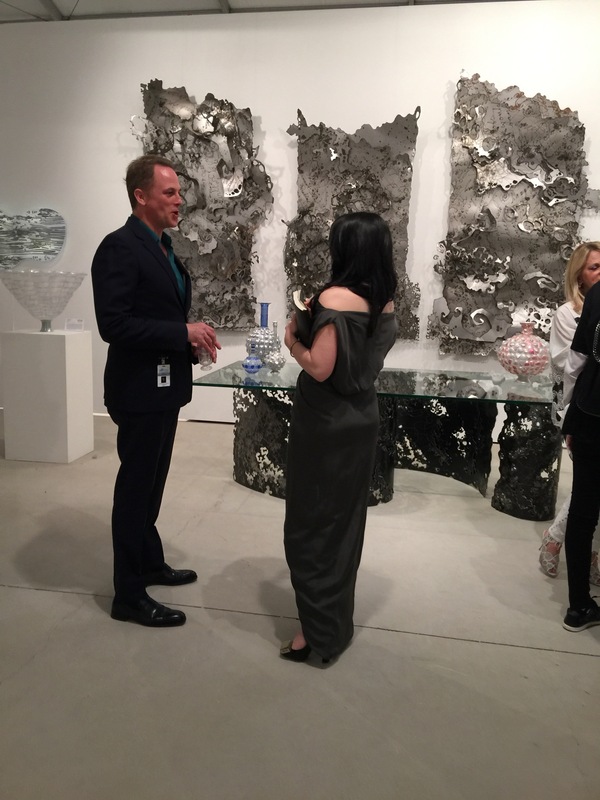 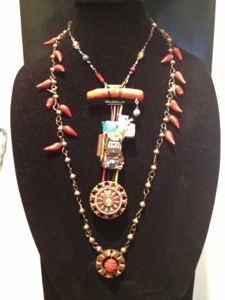 I have included a video where Mostel talks about her art and the iPhone pictures I took of her magnificent pieces.